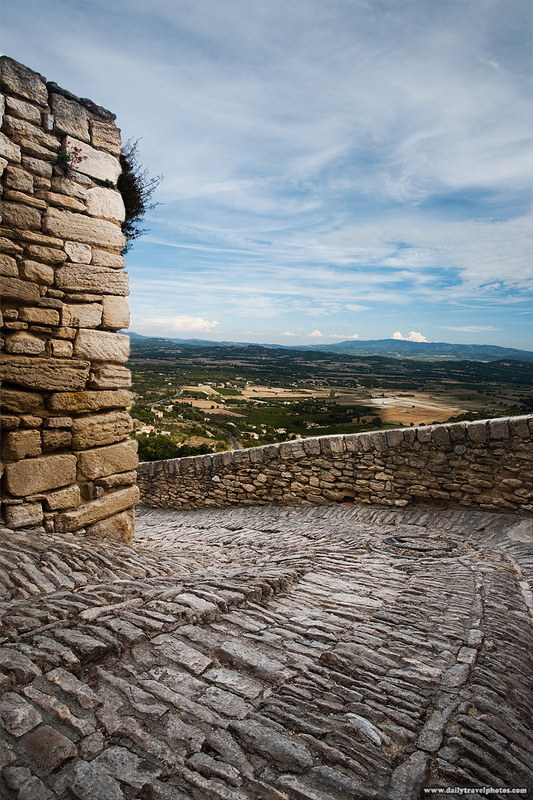 A path of stone steps opens to a spectacular view to the valley below Gordes, the most beautiful village in France. 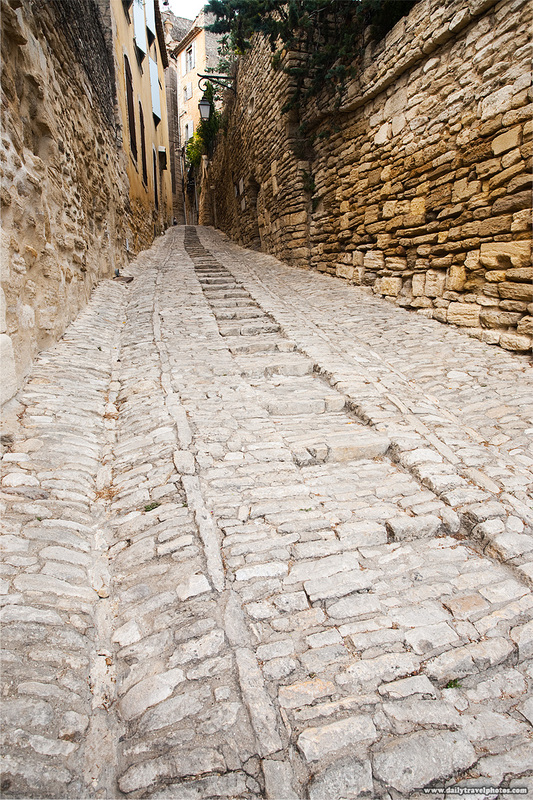 The same path of stone steps (as the first photo) leads into the village center of Gordes, the most stunning village in all of France. Wow. Lombard ain't got nothin' on that first road above. Merci for leaving a comment, Zuaditoes!